DC’s Batman: Damned will finally kill the Joker, but we didn’t expect it to put Bruce Wayne‘s life in danger, too. All things considered, though, a story diving into the one world alien to even Batman is a danger he’s not yet known. A danger which wastes no time in finding out if the Dark Knight bleeds like the rest of us. 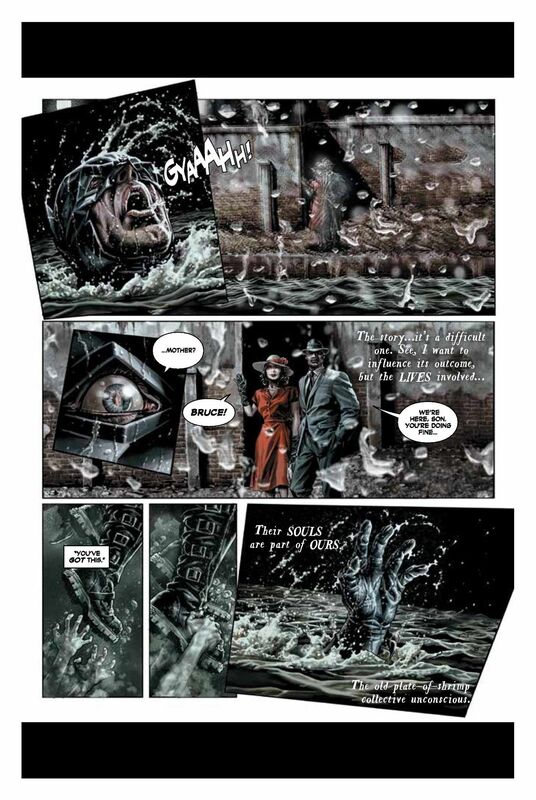 The graphic novel is sure to be one of the most anticipated of DC Black Label’s announced releases, reuniting the creative team behind the acclaimed (and intensely mature) Joker. 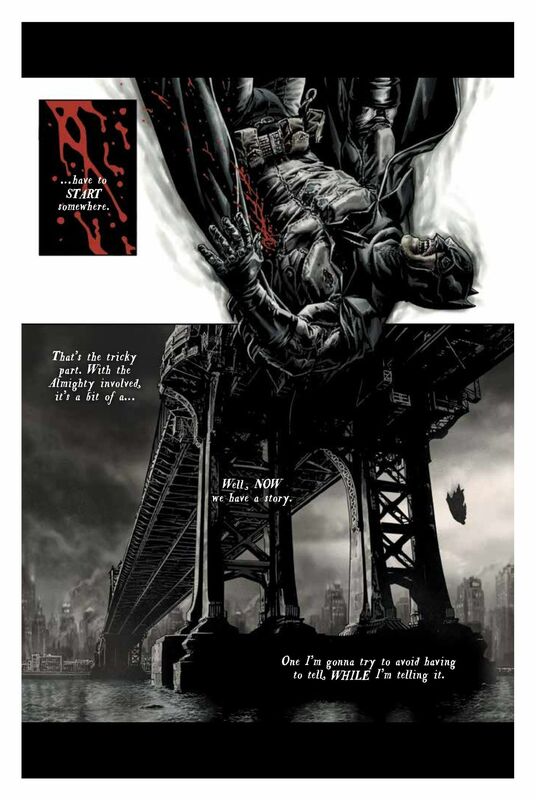 The combined talent of Brian Azzarello and Lee Bermejo proves that Black Label is being built as an imprint for the best of the best. 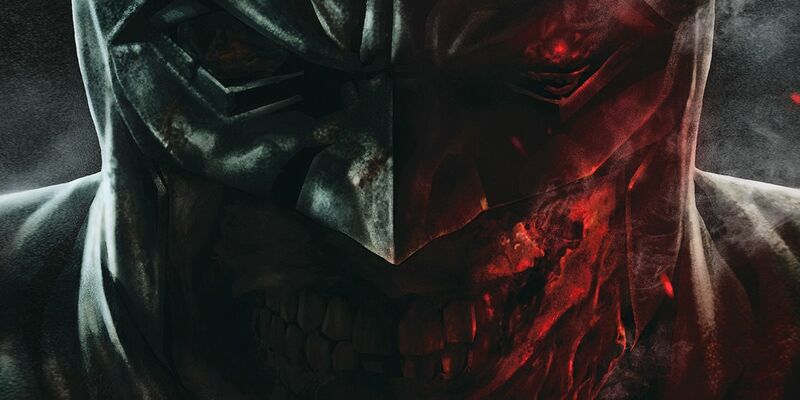 And our exclusive preview of Batman: Damned proved that the duo were just as eager to tell this story as fans will be to devour it, starting with the very first pages. 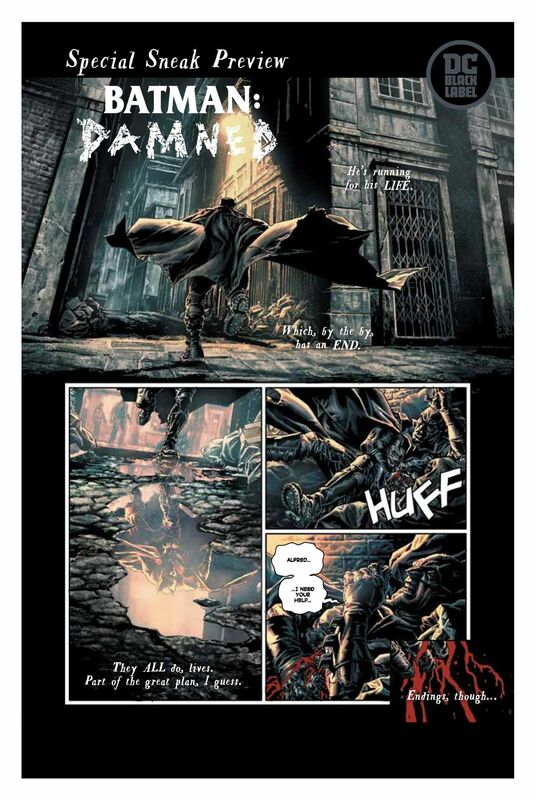 The fact that Damned begins with the death of the Joker was never a secret, but readers will still be thrown for a loop when cracking open their first copies to see Batman in a panic, stumbling through Gotham, bleeding out. Luckily John Constantine is there to spare him his fate. Or guarantee it… you can never quite tell when it comes to the Hellblazer. And most importantly, of course: where is Alfred? Anything is possible in the world created by Azzarello and Bermejo, and with John Constantine soon to be followed by other masters of the occult – Zatanna, Etrigan, Deadman – even Batman is heading into uncharted territory. Luckily, readers who wish to join him in seeing what comes next need only mark their calendars. DC BLACK LABEL, the highly anticipated new imprint from DC Comics, starts here! The Joker is dead. There is no doubt about that. But whether Batman finally snapped his scrawny neck or some other sinister force in Gotham City did the deed is still a mystery. Problem is, Batman can’t remember…and the more he digs into this labyrinthian case, the more his mind starts to doubt everything he’s uncovering. 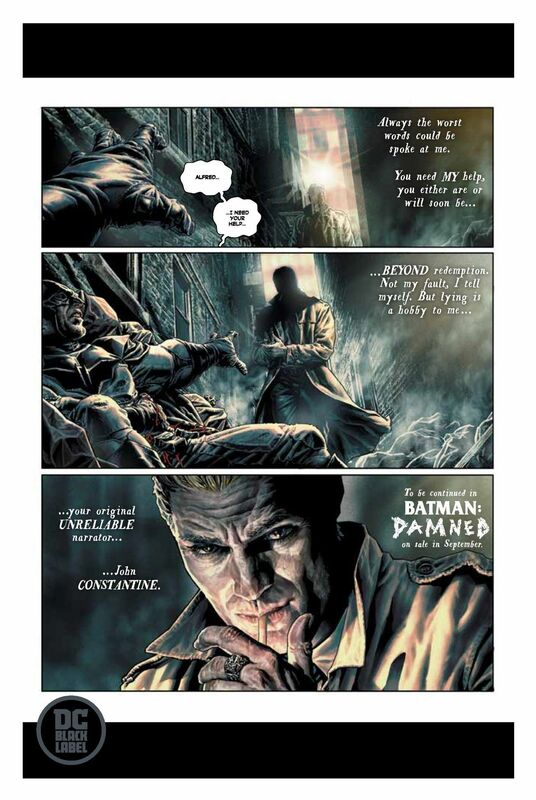 So who better to set him straight than…John Constantine? Problem with that is as much as John loves a good mystery, he loves messing with people’s heads even more. So with John’s “help,” the pair will delve into the sordid underbelly of Gotham as they race toward the mind-blowing truth of who murdered The Joker. 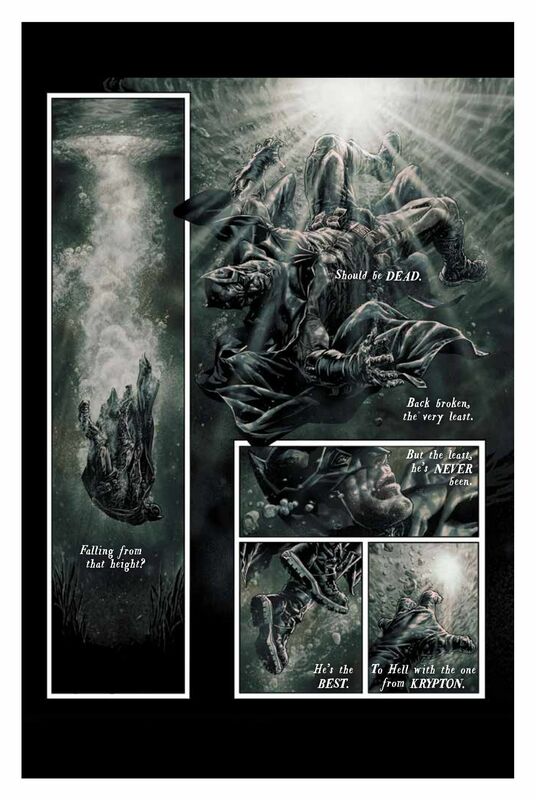 BATMAN: DAMNED is a bimonthly super-natural horror story told by two of comics’ greatest modern creators—a visceral thrill-ride that proudly puts the “black” in BLACK LABEL. 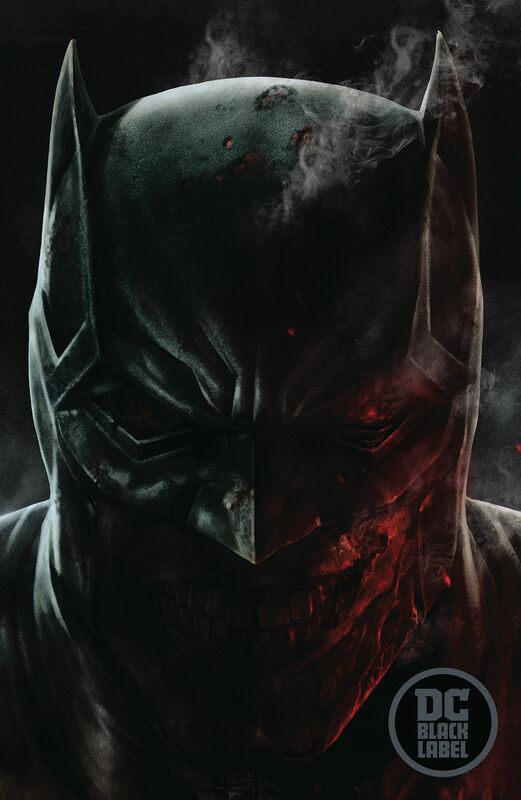 Batman: Damned #1 will be available from DC Comics on September 19th, 2018.